So I am starting something new today! My prayer is to encourage someone today! Eyes see the prowling lion. Faith sees Daniel’s angel. Eyes see storms. Faith sees Jesus with arms outstretched. Eyes see the impossible. Faith sees a God that all things are possible. Eyes see the wheelchair. Faith sees the walking. Eyes see cancer. Faith sees the stripes that heal us. Eyes see the sin. Faith sees the saving grace of forgiveness. Eyes see your faults and your guilt, coupled with shame. Faith sees your Savior, His blood and His grace. Look into the mirror today, look into life and don’t see everyday circumstances. Faith is beyond what your eyes behold! There have been many times in my life I felt alone, afraid and hurt. Yet I stood when I didn’t feel like standing, I held my head when I felt like falling to the floor or hiding under the covers. It is only through the grace and mercy of God that He lifted the pain of what others inflicted upon me or my family. It seems no one understands. Yet God in His wonderful ways is the only One who can do this. He was with me when I felt worthless, not perfect enough, lost and undone. He is the Almighty God who in His wisdom reaches down His hand to caresses my hair and whisper “I love you” when hope is flown away from my thoughts. Faith, we all must find faith and allow it to grow. Seasons of life come and go, without faith it is impossible to please Him. Faith is confident and knowing God-given assurance that He will and do what His Word is and does.It is believing in His promises, the validity and that these promises hold true if you believe. It works three ways in our life. It first forms a basis for a commitment to Christ when we first believe and give our hearts to Jesus. Faith doesn’t stop there. The mature Christian life requires that faith develop because a genuine depth in faith leads to a deeper walk during our development. Through thick and thin we must trust in Him even through the pain we endure. The next stage of faith is that only with it we can receive miracles for the needs we have. This is when we release God’s power to meet those needs. How do we increase our faith? Walking with Him daily, becoming more and more like Jesus, reading His Word, attending church to hear the Word, going through challenges of life and learning to trust the Almighty. All these things will help your faith grow. Daily we must give positive declarations over ourself with confessions of victory and abundance. We must allow the Holy Spirit to come into our lives and dwell within us, heal us. Our mouth will speak the true nature of our heart. Although life in itself is hard and rough at times, it is not by our own strength but by the strength of God which renews us daily. Live and affirm God’s presence in your life daily and watch your faith grow. We must remember the Lord is with us at all times, walking with us, loving on us, healing us, protecting us, listening to us and desires a relationship so strong so that we do not look to ourselves but to Him daily. It is through the pain of life at times that our faith grows in leaps and bounds because without Jesus we would not have endured. He alone is our source and strength. There is no turning back once you find faith. Will you comment below and share your faith story? This news is more disturbing than ever to hear about an innocent man beaten almost to the point of death. This innocent man who quietly was at the park with some friends, was captured as if he was a dangerous criminal. One of the man’s friends led authorities straight to the man and the group that he was with. The group of people managed to escape but the man was arrested. The man was taken straight to authorities for questioning his bizarre behavior along with his outlandish religious views. During this time the authorities spit on him, blindfolded him and hammered his face with their fists. What’s more disturbing not only did the authorities allow this to happen, they also let the bailiffs get in a few swings upon the innocent man too. He was placed in holding for more questioning without a lawyer. Upon the next day, the bruised and bleeding man was automatically sent to the governor. After questioning him, the governor wanted to release the man in reference of no crime committed, however in fear of the people in high authority and the crowd of people hearing of the news, he decided he wouldn’t have part in the entire mess. He called for a jury to decide the verdict. After the jury claimed the man to be guilty without even a trial, the man was placed back in the hands of the authorities who brought him to the governor in the first place. In the process the man was taken out back and the chief captain’s men again beat the man only with this time a whip containing a razor at the end of the leather. This tore into the man’s back and left him barely breathing. He was taken back into the barracks behind closed doors and given a set of clothes only to again hit him over the head and spit on him. They also put on his head a circle containing sharp thorns. He was then made to walk in front of people bleeding profusely. Protesters against the governor pressed into the man to get in their full swings and pulling out the man’s beard and swearing at him. The man was forced to carry a wooden beam, tortured in the process. He was then nailed to the wooden beams and crucified in front of the town where he died in this hanging. The innocent man’s name was Jesus. What makes this story so unique is that Jesus didn’t stay in the grave. He rose again on the third day and walked among the people. 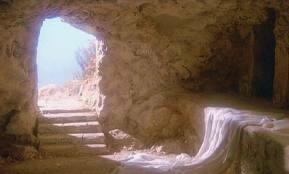 We know this day and celebrate it as Easter. Jesus did not only die as an innocent man, but he chose to receive this torture and take on the sin of all man, and die for man. The result of this would be that all people including you and I can have everlasting life in eternity with him for our choosing to do so. The grace is that we no longer live by the law of the Old Testament but enter into an agreement with Jesus that He died for our sins and came back to life. In doing this, we confess our wrong doings, we also turn from our sinful nature and accept his ways. As gruesome of a death this was, it was not an ending to life but the beginning. Although he returned to heaven, the Spirit of God is here upon earth to give us power, to be witnesses for Him, to comfort us and to teach and unite us. He is with us always. Love. Live. Lead. Daddy, You are all around us, mighty to take care of us all. Your will be accomplished today O Lord – what can be done today to bring You glory – bring Your will, bring Your kingdom here on earth? You reign in our midst, You alone give us strengths to overcome to walk in Your ways. I thank you Lord for ALL. Lead us into Your righteousness, truth and wisdom! Thank you for supplying our needs – for the family, the church for our world (new church building!). Forgive us father for our tiredness, our lack of enthusiasm or our lack of kingdom minded. Help us forgive those who talk about us. (I suppose at this time of prayer there were people chatting rumors about our ministry – I guess this never stops…lol) You are our King. I remember Lord when I felt lonely when we first became Christian. I know it didn’t compare to the loneliness You felt. I am so sorry You had to go thru that kind of rejection and hurt. I am so thankful that we also endure things that You also went thru. It is because of You that I can go thru things and still be free! You overcame so I can be a overcomer! We walk but are not alone. I breathe your breath daily knowing you are always with me and that makes me smile! Thank You Daddy that you have been the King of Kings in all my years, past, before and future. Stay the King in my life and never let me stray from YOU. You are King most high and I bless your holy name! You alone are to be praised most high and forever! You give me faith, endurance, trust and hope! You are my strength! I am thankful for writing things down. I can reflect back and see what God has done in my life and know even through the past struggles how He brought us through. This encourages me for future things I must endure. 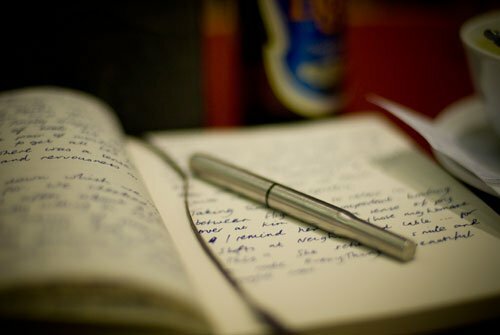 I encourage you to write, so you too can smile at the end of your day or better yet reflect two years ago how God saw you through it all and how you stayed thankful for the process. Life is a journey. What’s love got to do with it? Everything….and when it is sacrificial love, it is the best. When you are concerned about the well-being of others you usually have to sacrifice. You may have to expand your time, your energy, or your money for them. You may have to give up your plans your independence or your privacy. To love as God loves, in other words, you may have to part with whatever is most precious to you for the sake of someone else. I find this very difficult at times because the response you get from others during this journey or process is a pain that only subsides as time passes. You find yourself going through emotions and wanting to give up, however through the process you know the end result is doing the will of God for the sake of touching others with His Love, teachings and ministry. Sacrificial love is a difficult concept to grasp because our culture teaches the exact opposite. 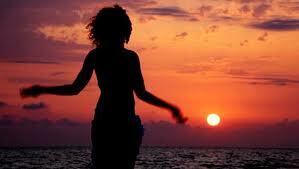 We must grasp that true personal fulfillment never comes through self-gratification. Only when we give ourself to God and joyfully serve his people in sacrificial love that we find fulfillment and satisfaction that the world will never know. I know this is hard sometimes because many times people do not see your sacrifice, they only see what has been taken from them whether from lack of vision or walking in the flesh. It is easy to turn and look inward instead of the prize that is ahead of us as Christians. Becoming a Christian doesn’t mean trials of life never come for they are for the betterment of our faith but being a Christian is knowing the end result of eternal life with the One called Jesus who shared this kind of love. Sacrificial love in marriage is when you enhance the life of each other making it fuller and more satisfying than it would be if the marriage didn’t exist. Loving marriages help both spouses grow into their full potential rather than putting down the other. It is loving the other putting their needs above your own. The “I love you” means to commit to serve, to build you, to cheer you on despite the time, energy, money, and the misunderstandings of the journey of life. Sacrificial love is the foundation of every key relationship in life and when people don’t practice sacrificial love, they find themselves wanting, wishing and in turmoil remembering only the past instead of looking toward the future. There is something interesting about Facebook that can just consume people’s time. I ponder if it is just the social interaction people were created to have, to establish relationships, to stay in contact with people and make new friends. I loved hearing the responses to my friends on their answer of why they use Facebook when I posed the question “why use Facebook.” For the most part it was for social reasons and to keep them connected with other people. Some argue that Facebook should not be used to replace actually interaction with people literally but how can that be argued with a person who chooses to stay home and Facebook is their only outside source of social interaction? 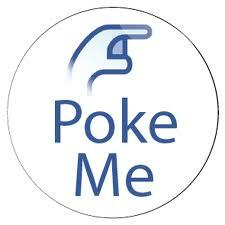 The poke feature is intended to be a poke gesture (similar to “nudge” in instant messaging) to attract the attention of another user. 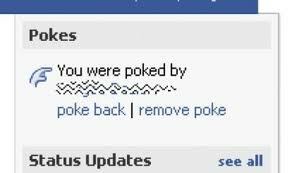 A previous version of Facebook’s FAQ gave additional insight into the origin of the feature, stating: When we created the poke, we thought it would be cool to have a feature without any specific purpose. People interpret the poke in many different ways, and we encourage you to come up with your own meanings. The other night God spoke to me with a little nudge. It reminded me of the “poke” on Facebook. I giggled knowing that sometimes we always have a way of letting other things come before Him. He is constantly and patiently waiting for us to notice Him. I realize that I may go around the same mountain again and again before I learn something, Lord knows I want wisdom in my life. How many times do we continue our own agenda, do what we want to do without giving time to Him? How many times do we justify our good actions and intentions without including Him? It is easy to get caught up in the social action of “getting busy” or “Facebook addiction”, but it is not the true meaning of life. God can only fill the void that as humans crave for social interaction. I have to watch myself to stay balanced in this area. Of course I have God on my mind throughout the day, I know He is with me always and I am constantly thinking of Him. 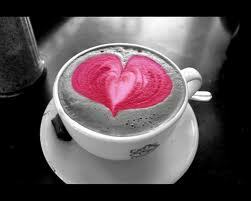 I guess what I am really saying is that I need to set aside the morning time again to walk with only Him. He has started again to awake me early. He has poked me and is waiting for me to poke back. He wants that relationship, that social interaction without all the white noise in the background. He wants me to listen for His voice, see His messages, more than instant messages or blips on a screen. I am here daughter, don’t be afraid, here my call for I will never leave you nor should you be anxious for nothing. Trust in my plan and have faith in your destiny. You must rely on me more and not on your own strength, talents or what you can give to others. I made you that way, and I can give you what you need to do the work I have chosen for you. I God who have made the trees, the animals, the waters, the deepest sea, the darkest night, I also have made you. I have equipped you for the plan that is laid out for you to follow. Do not get off the path, stand tall and walk. Do not let others distract you as you are walking and trusting. Keep your vision on me. Keep your sight on me. As a baby walks toward his mother for the first time, I am calling with my arms outstretched. You are mine and I am yours, no one can take me away from you. Just as a new mother stares at every detail at her child there is so much love, and more so I have for you. I will help you must you must let me, not on your own strength but my strength. Display my fruit of love, do not stray from me but stay focused on me, it is I who provides and not anyone else. You are a tree planted by waters and you will flourish. Run to me daughter like a daughter daddy moment and let me take care of it. Do not fret or get upset when dealing with your siblings, you are good, please do not cause harm but pray for them, forgive them and encourage them. I call out to them also this very same thing and yet they also get distracted. I love you with an enduring love, come and play with me. Sit with me, talk to me and rest. Let me consume you with my love to overflowing. 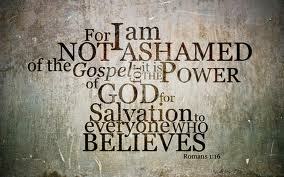 As I continue Romans 1: 6-18 today: I loved the fact that wherever Paul went, he heard the church being talked about. It’s funny to say, the city of Owensboro and surrounding area, PromiseLand Metro is being talked about. I hope it is good and not just the gossip. Either way, it will be none effect to what God is going to do and is doing while we continue to share the gospel. The good news is something to proclaim and I pray that Jeff and I will always be able to uphold the standards and withstand the pressures of the leadership you Lord have set before us. 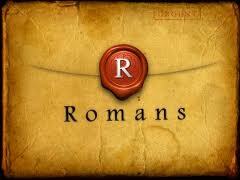 Here are some things I learned from Paul as He wrote to his friends at Rome. Lord, I will always seek your direction and honor you for you Word, your guidance of your spirit. You lead me to the part that we play in this world. You have equipped us into your ministry. I don’t want to always be about me, but others, so remind me to check myself on a regular basis, check my motives in what I do on a daily basis. Do not let me slumber or drown out your voice with noises of busyness that I cannot hear your pulling or calling. I thank you lord for giving and surrounding me with people who do you work for your Kingdom. I pray strength and unity among the brothers and sisters and ways to fellowship to impart, to encourage and to be encouraged. I thank you Lord you put others in my life in which I can minister to them and they to me.